1. It's the largest Northern Food Festival ever. 2. It's a food fiesta of regional cuisines in one location. 3. It's at the Philippines' culinary center. 4. It's at MarQuee Mall. 5. Food legends will take the stage. 7. Cheer on your favorite culinary school. Big Bite! 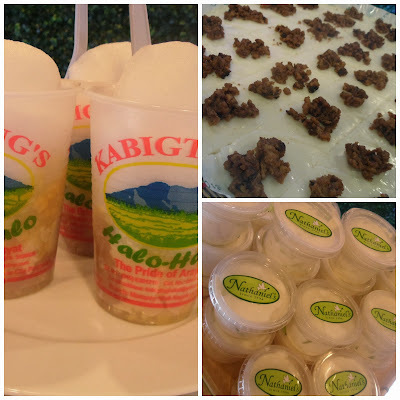 will be the biggest culinary celebration of Luzon this year. It will have over 100 vendors representing Pampanga, Metro Manila, Baguio, Bataan, Bulacan, Cagayan, Ilocos, La Union, Nueva Ecija, Tarlac, Pangasinan, and Zambales. Festival-goers to MarQuee Mall will find every delicious and tasty product that the participating regions have to offer. There will be native and traditional delicacies, an area for fresh produce, another for cooked and baked food. Big Bite! will showcase the best food concepts - visitors can find something for every taste, whether they are into sweet, savory, sour or spicy. Food for main courses, for appetizers and desserts- there will be something for any meal, whether for breakfast, lunch, dinner or merienda. 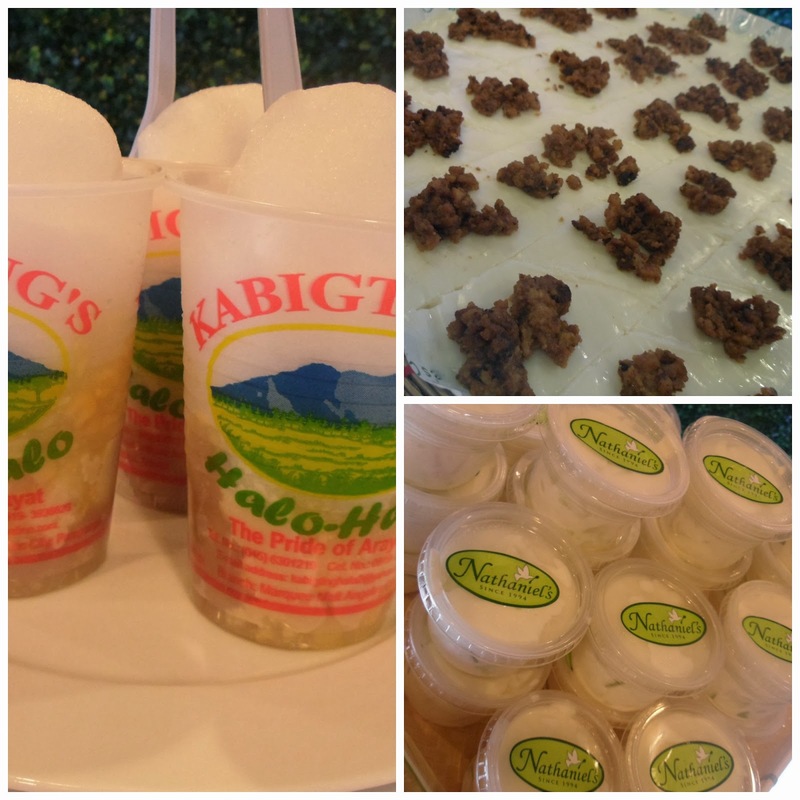 In Pampanga alone, we are sure to have many food products such as sisig, chicharon, halo-halo, ensaymada, and kakanin. 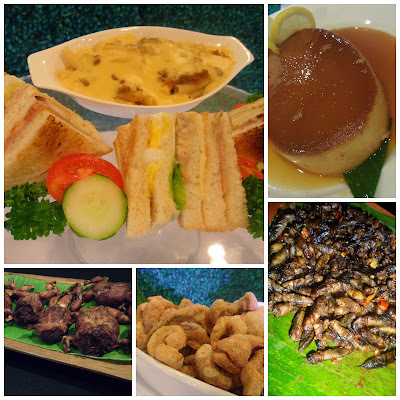 The cooking demonstations will feature some of the Philippines' culinary icons. Celebrity Chef Rolando Laudico, whose Bistro Filipino is a culinary landmark, will be onstage with Pampanga's very own Mrs. Lillian Borromeo. After his stint as judge for Junior MasterChef Pinoy edition, Chef Laudico has further grown his restaurant and catering business, the Chef Laudico Group. Atching Lillian, who opened her ancestral home in Mexico, Pampanga for visitors to experience authentic Kapampangan cuisine, is a real treasure. She is also famous for her Pandecillo de San Nicolas, her San Nicolas cookies which are paired with chocolate de batirol. The famous San Nicolas cookie. Atching Lillian still uses her ancestors cookie mold which dates back ton 1700s. Wow! Sabrina Artadi, the star of Sabrina's Kitchen, will also be holding a cooking demo. This mother of two is also a former Bb. Pilipinas International, and has been called the Philippines' Nigella Lawson. She has been cooking wonderful meals in a fun and easy manner that has earned her many fans. Another celebrity chef and proud Pampanga native joining the event is Chef Sau del Rosario. Diners regularly enjoy his cooking skills as owner and chef of Le Bistro Vert. The Philippine Women's University, System's Plus College, Angeles University Foundation, North Point Culinary Academy and Bulacan State University will be battling it out for kitchen supremacy at the culinary competitions. The cook-offs will be held over the 3-day food festival and will be judged by culinary experts. It promises to be an exciting competition! Big Banquet is the promo for MarQuee Mall's shoppers and patrons. Every P500 receipt from a MarQuee Mall shop entitles the shopper to free food samples from selected vendors every day fo the festival from 6:00 - 8:00PM. There will also be a family heirloom recipe contest where people can share their favorite recipes handed down from different generations. Contest is open to legal residents of C.A.R., Region I, Region II, and Region III. Entries will be entertained on Friday October 18, 2013, 7:00 - 10:00AM at the MarQuee Park. The best recipe wins P20,000! As for the big eaters, everyone is welcome to join the food eating contests at Big Bite! Festival-goers will also be delighted with live entertainment nightly. If you would like to participate as a vendor, please contact +63.917.7527071 or email: bigbiteMarQuee@gmail.com. Like and follow MarQuee Mall's social networking sites: MarQuee Mall FB Page, @MarQueetweets, and instagram: @iloveMarQueeMall.